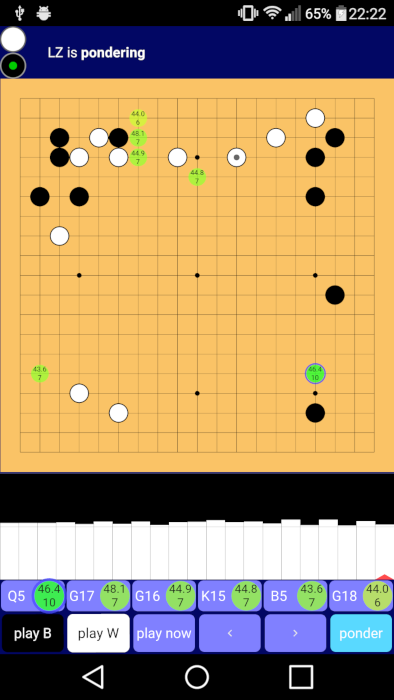 A few days ago I released Lazy Baduk, a Leela Zero analysis tool for Android. You can download it from Google Play, or directly from the Github release (see below). We’ve just officially released python-for-android 0.6. The new version can be downloaded via pip, or will be used by buildozer automatically in new installations. This release contains about 130 new commits from 14 different contributors. Thanks to everyone involved! 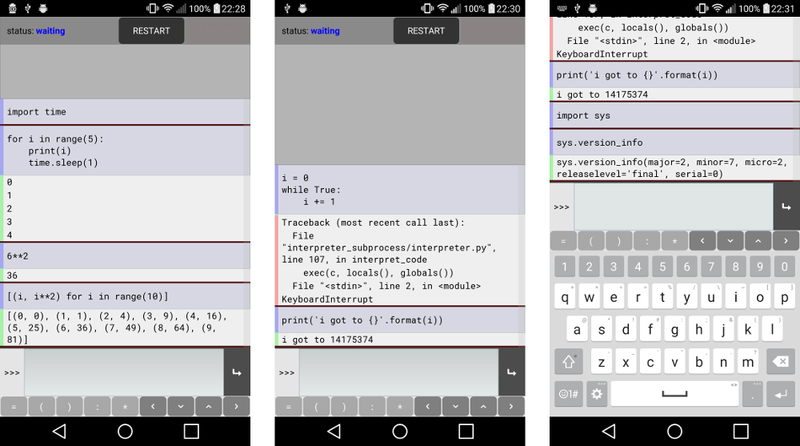 We’ve just officially released python-for-android 0.5. The new version can be downloaded via pip, or will be used by buildozer automatically in new installations. This release contains about 300 commits from almost 40 different contributors. Thanks to everyone involved! I’ve just released Pyonic interpreter 1.3. As usual you can download it from Google Play, for Python 2.7 or Python 3.6. The APKs can also be downloaded directly from Github (where the source code is also available). I’ve just released Pyonic interpreter 1.2. As usual, you can get it from Google Play, now for Python 2.7 or Python 3.6. The APKs can also be downloaded directly from Github (where the source code is also available). I’ve just released Pyonic interpreter 1.1. As usual, you can get it from Google Play for Python 2.7 or Python 3.5, or download the APKs directly from Github (where the source code is also available). I’ve just released Pyonic interpreter 1.0. You can get it from Google Play for Python 2.7 or Python 3.5, or download the APKs directly from Github (update: changed to v1.0.1 following a small bugfix). Pyonic interpreter 0.7 has just been released. There are now two versions on Google Play, one for Python 2.7 and one for Python 3.5. The APKs are also available directly from Github. Other features in this release include a new settings screen and improved gui arrangement. I’ve just released a new app, Pyonic Python 2 interpreter. 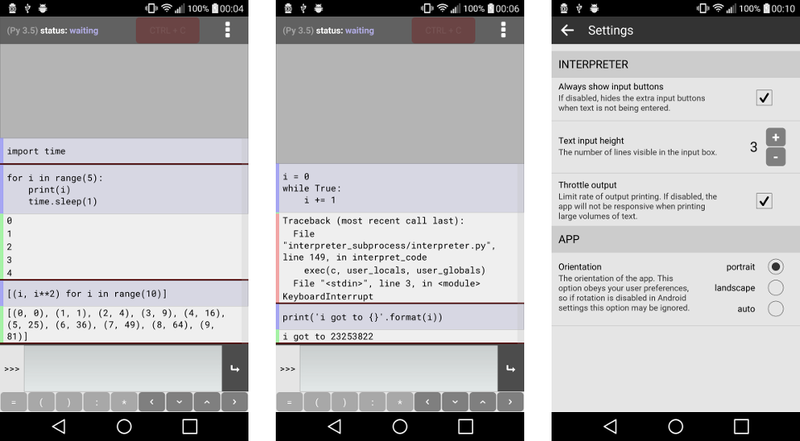 Pyonic interpreter is a Python interpreter app for Android, providing a convenient interface adapted to mobile devices. 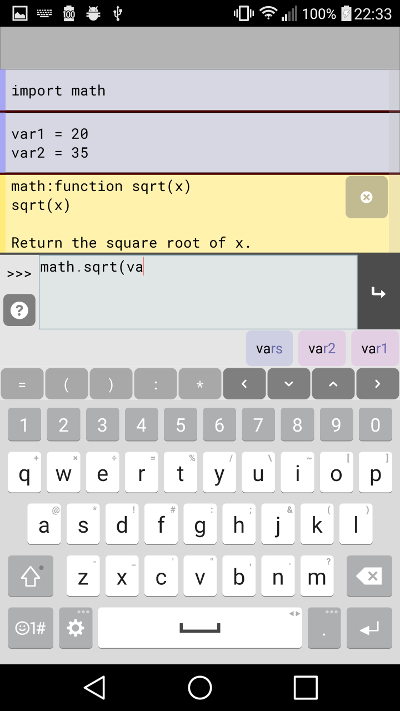 The app itself is written entirely in Python using Kivy. Jacob Kovac, Kivy core developer and creator of the KivEnt game engine, is at PyCon 2016. Click here or see below to watch his talk, Revitalizing Python Game Development: Packaging, Performance, and Platforms. We’re pleased to announce a new stable version of Kivy, version 1.10. You can see the full detailed changelog on the mailing list announcement, and download the new version from the Kivy website or via your package manager. It’s been a while since Kivy’s python-for-android project was revamped, so here’s a quick status update. 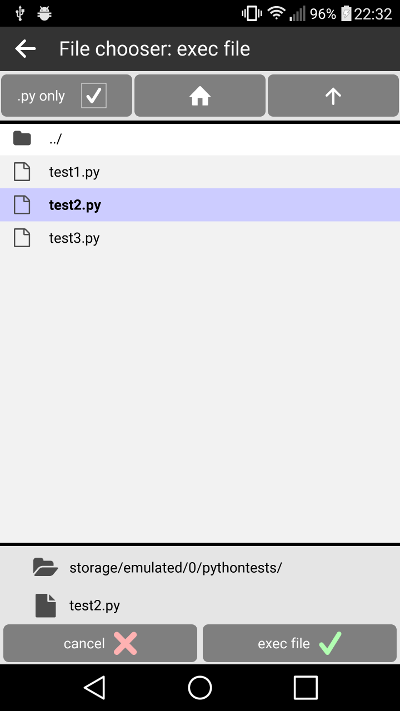 This post is to announce that the revamped python-for-android toolchain, introduced in this previous post, has now been merged into python-for-android’s master branch. This is now the master branch going forward. Some of the Kivy core developers were recently interviewed on Podcast.__init__, including discussion of how Kivy got started, the different things it’s being used for, and the future of the project. Click the link to listen to the podcast. Kivy 1.9 has just been released! This has been a long time in the making, for no very good reason, but now you can take advantage of all our many new features in the stable branch. You can find the full changelog at the official mailing list announcement. I was recently reminded of the super cool Hy project. Hy is a lisp that compiles to python’s own abstract syntax tree, so it works perfectly with existing Python code (including with Cython etc.) but also exposes all the power of lisp. Just to announce here for anyone that hasn’t seen already…Kivy recently announced the Kivy org second programming contest! You can check out all the details at http://kivy.org/#contest! New Kivy Crash Course video released, 14: Using a ScreenManager. There won’t be any Kivy crash course videos for the next couple of weeks, as I won’t have the time or tools to make them. I haven’t stopped making them though, they’ll resume afterwards. New Kivy Crash Course video released, 13: Using Kivy’s settings panel. New Kivy Crash Course video released, 12: Using Android APIs. This is the standalone write-up of my third Kivy Crash Course video, linked above. In this entry, I head back to Python to add some more complex and interesting behaviour to our simple program from the first article. 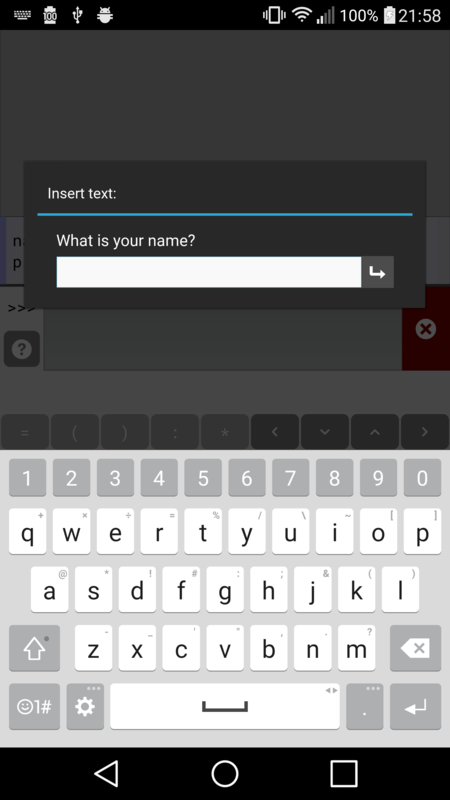 In this writeup of my second Kivy Crash Course video, I describe how to use the buildozer tool to compile a Kivy application into a fully functional standalone Android APK. For reference, you can find the original video here.